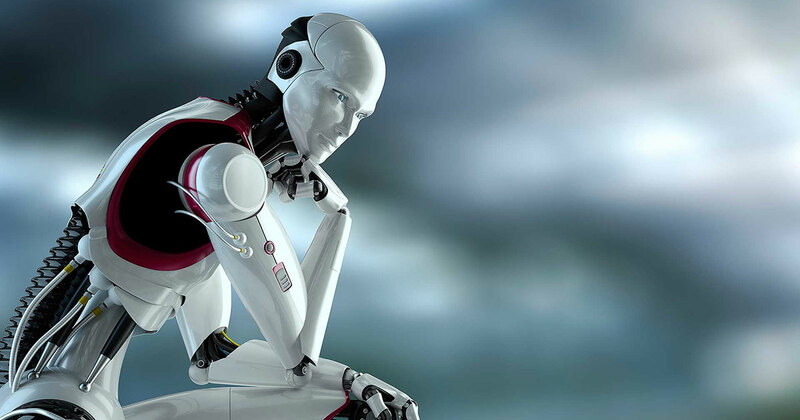 15 Latest Developments In Robotics Field ! 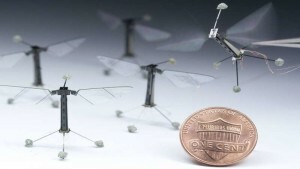 This insect-sized flying robot is smaller than a quarter, 12 times lighter than a paperclip, and zips through the air with a pair of flapping wings. That’s not even the impressive part. Using a trick of electrostatic energy, the minuscule bot can efficiently cling to the underside of any flat surface, from tree leaves to glass skylights to your plaster ceiling. This electric-powered perching is almost effortless—it takes 1,000 times less energy than is needed to fly. The insectoid bot is called RoboBee, and was developed by a team of roboticists led by Moritz Graule, a mechanical engineer at MIT. RoboBee’s wings beat almost as quickly as a real honeybee, flapping at the lightning pace of up to 120 beats per second. Although the robot’s chassis was first unveiled in 2013, Graule’s team has only now added this new electrostatic gripping ability. “Many applications for small drones require them to stay in the air for extended periods,” said Graule in a press release accompanying the research paper. But as any quadcopter owner knows, even smaller drones run out of battery life fast. 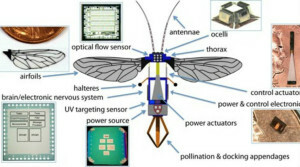 We want to keep them aloft longer without requiring too much additional energy.” Graule and his colleagues hope that future incarnations of RoboBee could be mounted with tiny cameras and other sensors, “providing a bird’s-eye view of a disaster area, detecting hazardous chemical or biological agents”. To cling to the underside of any flat surface, including wood, glass, brick, stone, and metal, RoboBee initiates a perching manoeuvre, swooping up to a stable position right underneath the surface of wherever it’s trying to stick. On top of RoboBee is a bulls-eye shaped patch, attached with a polyurethane foam mount. That foam mount assures that lightweight RoboBee doesn’t bounce off as it swoops up to make contact with its target. Next, thin copper electrodes in the bulls-eye patch create a gentle tug of static electricity. RoboBee stays stuck as long as these copper electrodes produce this tiny amount of voltage. When finished perching, RoboBee smoothly detaches by cutting off the voltage, which cleanly eliminates the static cling and allows the bot to resume flight immediately. “One of the biggest advantages of this system is that it doesn’t cause destabilizing forces during disengagement, which is crucial for a robot as small and delicate as ours,” said Graule. 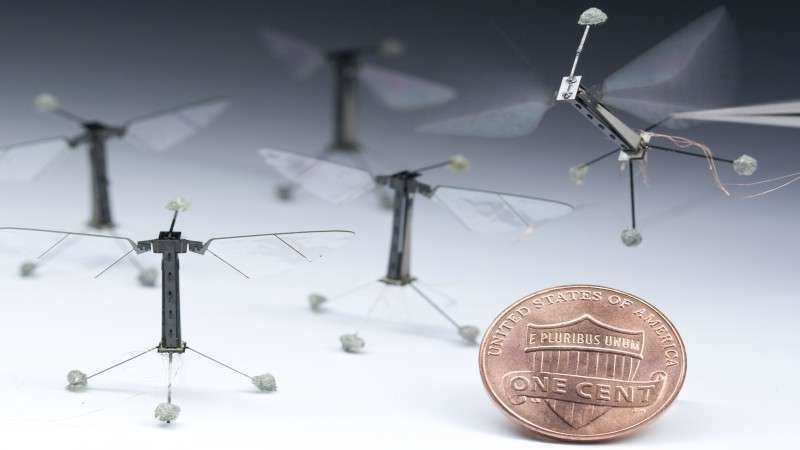 This perching takes anywhere between 500 and 1,000 times less energy than flying for RoboBee. That’s such a low power requirement that it’s easy to imagine how, if future versions of RoboBee had deployable solar panels, the robot could even recharge its batteries while taking a break. Watch it here. 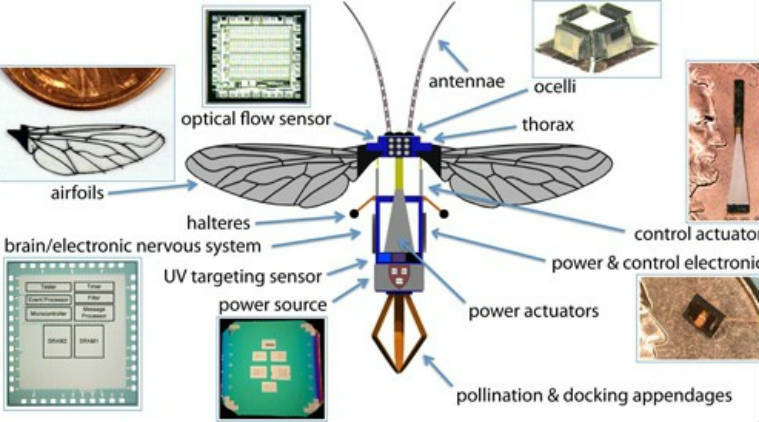 MirkoKovac, an aerial roboticist, also foresees a variety of different ways RoboBee’s perching manoeuvre could save it energy. It could use “wind to travel larger distances or, similar to seeds, avoid aerial locomotion capabilities altogether and travel by perching on animals and larger mobile robots at no energetic cost,” he says. But it is not there just yet. One reason RoboBee weighs only 0.08 grams is that right now it’s both powered and controlled remotely. That means it requires tethered flight, a problem that’s likely to persist until engineers design batteries light enough for RoboBee to use. That isn’t stopping Graule’s team—they’re currently focusing on ways to figure out how to attach RoboBee to the underside of curved and uneven surfaces. What if instead of one hand on each arm, you had two? That’s what Sang-won Leigh is trying to achieve with his Robotic Symbionts wearable that he developed as a project for MIT’s Fluid Interfaces course. 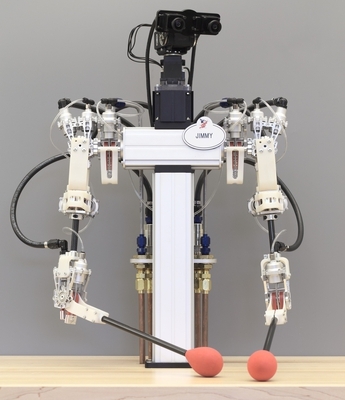 The robotic hand (described as a “body integrated programmable joints interface”) is equipped with 11 motors that can be rearranged and reprogrammed to satisfy different uses. The device can serve as a large extra finger or as an entire hand. It can sit below your wrist and clamp onto things to hold them still, or pick up objects while your fleshy human hand is left free to, I don’t know, play with your phone. The neat thing about Leigh’s robotic hand is that the machine is controlled separately from your real hand. You can hold your hand completely still and move the robotic appendage, and vice versa. How? 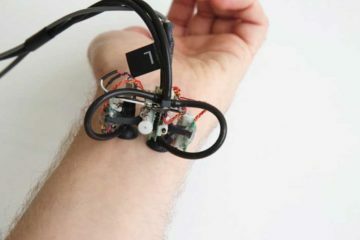 The device senses electrical signals sent to the brachioradialis muscle in your forearm. 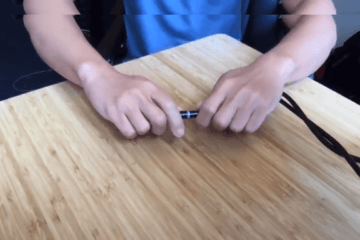 This muscle is not used to move your hand, but after practicing for a few hours, you can flex and move it in ways that will cause the robot hand to respond. Watch it here. Science often has a way of catching up with science fiction. While it never claimed the fan fervour of Star Trek, the 1966 movie Fantastic Voyage offered a tantalizing promise: shrinking scientists down so they could extract information from a human body from the inside. MIT scientists haven’t gotten the shrinking figured out, but by making ingestible microscopic robots that can enter human organs, they’ve managed to get at least half of it down. The robots are based on the concept of origami. You take a capsule, and the robot unfolds itself into a more functional form. 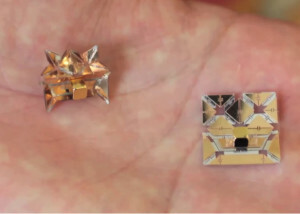 MIT first announced the development of these origami robots in 2014, with the hopes of making robots as small as possible. At the time, Daniela Rus, Andrew and Erna Viterbi Professor of Electrical Engineering and Computer Science at MIT, talked about how gaining control of the geometry of the robots was crucial to the project: “We can do the sequencing, we have a lot more control,” she said. That control is on full display in the latest developments from Rus and her team. “In our calculation,” says Shuhei Miyashita, a lecturer in electronics at the University of Yorkwith whom work Rus worked, “twenty percent of forward motion is by propelling water—thrust—and eighty percent is stick-slip motion,” a method of locomotion where the robot sticks to a surface through friction when it moves and slips free when it changes its weight distribution. 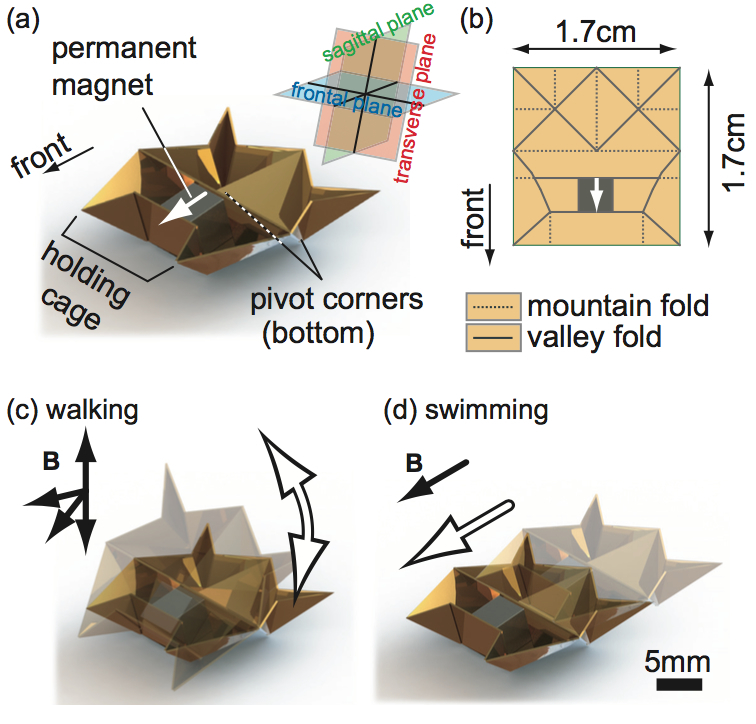 “In this regard, we actively introduced and applied the concept and characteristics of the fin to the body design, which you can see in the relatively flat design.” Once inside the body, the robot unfolds to a rectangular design with accordion folds. Crucial to the robot’s success inside the body is the magnet at its core. Outside magnetic forces are used to steer the robot through intestines, and the magnet was also critical to the robot’s success in its test mission. The team got pig intestines from Boston’s Chinatown and used them to construct a synthetic stomach, in which they placed a battery. It was a realistic situation; there were a reported 11,940 incidents between 2005 and 2014 of children under six swallowing batteries. After navigating the robot with outside magnetic fields, the robot used its central magnet to grab the battery. It’s a system which is very reliant on outside observation, which is what Rus and her team are hoping to work on next. They are working on adding sensors to the robot, redesign the robot so it can control itself. Watch the video. So while the chances of humans shrinking down to get things out of your body are slim, at least something with physical autonomy could be pulling batteries out some time soon. Disney has engineered a new robotic transmission that allows robotic arms a greater level of sensitivity and precision. These arms combine hydraulic and pneumatic lines and offer virtually no friction, allowing for remarkable levels of control. Normally, a robot joint would have two hydraulic cylinders, balanced against each other. But Disney researchers differed from the norm, matching each water-filled cylinder with an air-filled cylinder. The pneumatic cylinder acts as a constant force air-spring, providing the required pre-load force, allowing the joint to move in both directions while cutting the number of hydraulic lines in half. The result is a very soft touch. Currently the robots have to be controlled by humans, who sometimes are wearing Oculus Rifts to see through the robot’s camera-eyes. 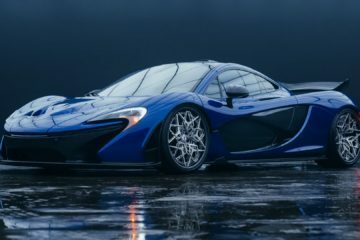 Human control allows for a great chance to show off the variations of sensitivity in touch, and the team behind the transmission expects “the same level of mechanical performance once the motions are automated.” Watch the bot here. When the term “exoskeleton” comes to mind, it’s easy to think about science fiction or bulky military enhancements. The idea of military driven by men with the strength of robots has conjured up dreams for decades. But what if the future of exoskeletons isn’t Iron Man or Master Chief, but grandma maintaining her self-reliance by getting some help with simple acts like walking up the stairs? “Soft” exoskeletons, developed by researchers at the Wyss Institute at Harvard University, certainly have military applications. Their work has been funded by DARPA, the famed experimental wing of the Department of Defense. But these exoskeletons are pants. Comfortable pants. These pants would have a waist belt, two thigh pieces, and two calf straps. Cables are attached through to a motor placed on the wearer’s back in a backpack. The thigh pants monitor the human gait, which the researchers place into “human kinematics,” the study of the motion of multi-joint systems. The sensors use electromyography, a procedure used to assess the health of muscles and the nerve cells that control them, and to determine the parts of the body that need the most assistance. Participants in the experiments carried thirty percent of their body weight at three miles per hour on a treadmill, slightly faster than the average human walking speed of two and a half. They would walk normally, walk with the weight, and then walk with the weight and the exosuit. The efforts seemed to put a strain on the body that without the suit would be manageable but still noticeable. The results were also noticeable. 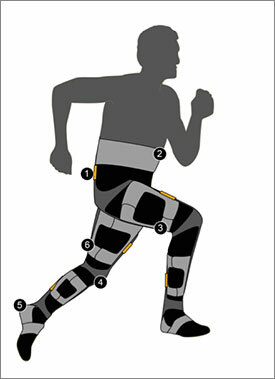 Measuring the metabolism and strain of each participant, the researchers determined there was “a significant metabolic power reduction” while wearing the exosuit. The participants’ hips, knees, and ankles were also all working significantly less while the exosuit was on. The battle of the virtual assistants is officially on. 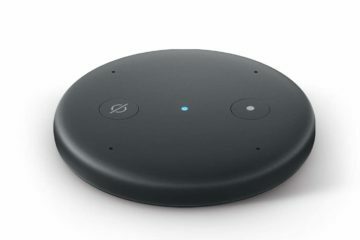 Introduced this week at Google I/O, Google Home is a voice-activated product that allows you and your family to get answers from Google, stream music, and manage everyday tasks. Sounds familiar? 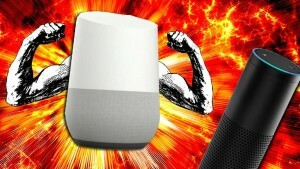 Google Home, albeit a year or so late, is a direct response to Amazon Echo and other virtual assistants. Google Home, at first glance, looks like it will be quite useful, even superior to Amazon Echo in several ways. 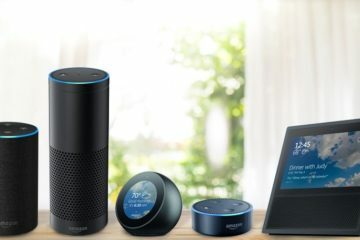 However, Amazon Echo has been around since 2014 and has sold more than 3 million units. Professor Mark Skilton of the Warwick Business School joined The Robotics Trends Show to further discuss the virtual assistant battle about to ensue between Amazon Echo and Google Home. Some of the topics included whether Google Home is too late, privacy concerns, the killer app for virtual assistants, and what would happen if Amazon Echo and Google Home talked to each other. It may have been a while since DHL made headlines in the States, but it’s been focusing on shipping, shipping, and shipping. Now, it’s sent over a hundred packages with drones—beating mammoths like Amazon to the punch—and has no plans to stop any time soon. The international shipper stayed local with its trial runs, delivering 130 packages within the Bavarian town of Reitim Winkl, a small town mainly known for its skiing and forestry with added challenges of alpine geography and the potential for snow. Residents could drop off packages in “packstations,” essentially lockers, from which point on drones would control the entire shipping process. 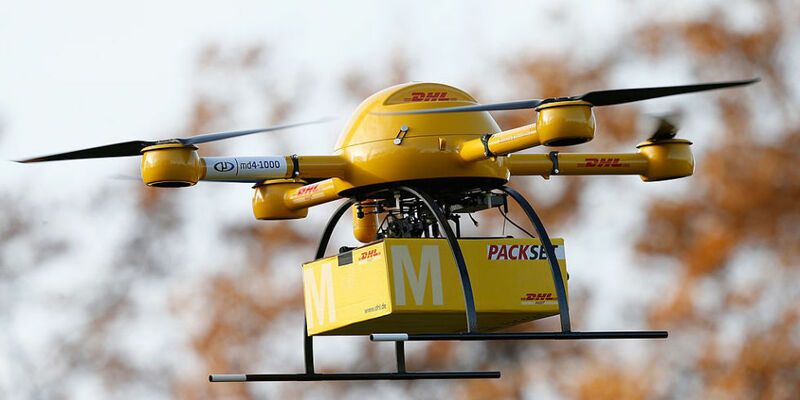 Focusing the drones—which DHL adorably refers to as “parcelcopters”—within a small area allowed for quick speeds. Used from January through March of this year, the drones were able to complete five mile trips that usually take half an hour during the winter within eight minutes. DHL thanked the German government, saying that the creation of a special restricted flight zone was crucial to the success of the project. It’s something Amazon would surely kill to get out the U.S. government. Some say that Amazon’s famously aggressive stature has actually worsened its chance at a speedy approval, leading to severe pushback from unions and safety advocates. The company has threatened that it would move its drone program overseas, closer to the friendly environs seen by DHL. Regardless of where Amazon’s technology goes, though, it’ll never be able to say it was first. Watch the Parcelocopter at work. There’s no such thing as the cloud, the saying goes—there’s just other people’s computers. 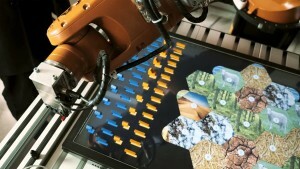 This excellent video shows a demo of how intensely data-intense medium-sized companies—says, banks or insurance companies—can handle huge volumes of data on-site using an IBM system called TS4500, which comes with a handy robot to fetch files for you. 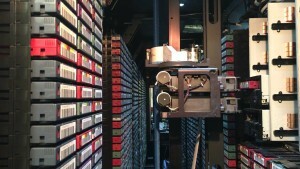 The tape library in the data storage unit is meant to maximize the amount of 1s and 0s a company can store in a small space, which is especially useful for organizations that must keep years of older data around. The IBM specs say you can house more than 16 petabytes (at 3:1 compression) in a 10-by-10-foot space and expand as needed. That’s at least 16 million gigs to organize and protect in roughly the area of a freight elevator, with all that hard storage existing on perhaps tens of thousands of tapes. It’s a job for the robots. If you thought bulletproof, jet-powered superheroes in colorful outfits exist only in the movies and comic books, then it’s time to reconsider. EMILY, a remote-controlled robot lifeguard, recently proved her value by rescuing some 300 Syrian refugees from drowning off the Greek island of Lesbos. The robot, full name Emergency Integrated Lifesaving Lanyard, is designed to be thrown out of a helicopter (or from a boat or a bridge) and then driven up to a person in the water. EMILY has propulsion similar to a jet ski with no propeller blades to cause injuries or get tangled. It zips along at a brisk 22 mph. Rough conditions are no problem; EMILY can handle 30-waves and survive collisions with rocks and reefs and keep going. 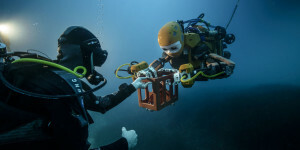 “EMILY is made of Kevlar and aircraft-grade composites and is virtually indestructible,” says Tony Mulligan, CEO of marine robotics company Hydronalix and Emily’s inventor. EMILY is easy to spot thanks to its orange, red and yellow color scheme. It has lights for night rescues. 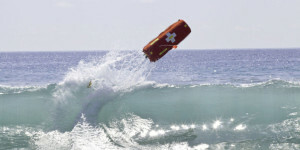 A two-way radio system allows rescuers to talk to people in the water and see them via a video camera. 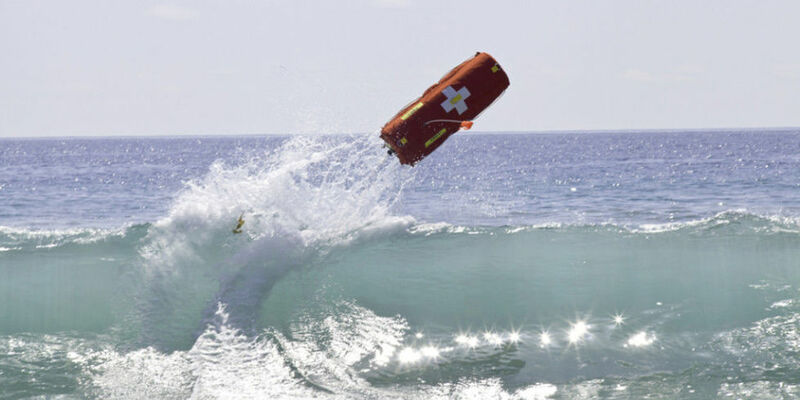 While the bot’ most obvious use is an emergency flotation device for up to six people struggling in the water, the robot can also deliver life jackets, or can drag a rescue line 800 yards through surf or currents. As with all superheroes, there is a cool origin story here. In Emily’s case this goes back to a 2001 project for a drone to track whales during Navy sonar testing. In 2011, elements of the original drone were used to create a new machine for hurricane tracking and disaster response. Other components were incorporated from the Office of Naval Research’s mysterious SwampWorks program. The end result of this collaboration between Hydroanalix, the ONR, and the Navy’s Small Business Innovation Research is EMILY. Bob Smith of SBIR calls EMILY as “a classic overnight success story years in the making.” At just four feet long and twenty-five pounds, Emily may be a little on the small side for a superhero. But unlike her fictional counterparts, she’s out there saving lives in the real world, with some 260 units in service with coast guards, navies and others, including the RoboticistsWithout Borders team that took Emily to Greece. Now that’s a marvel. Stanford engineers have built a robot scuba diver that’s just the sort of sturdy, sensitive sort that you need if you want to pick your way through a coral reef or a decaying shipwreck. Named OceanOne, the robot commands some of the most human like qualities of any remote-controlled machine designed to withstand ocean pressures at depths of hundreds of meters. You can tell he’s pumped to take this thing all over the ocean floor. Its maiden voyage into the live ocean was to prowl a La Lune, a frigate of Louis XIV’s that sank off the southern coast of France in 1664 and was rediscovered only in 1993, some 300 feet below the surface. French underwater archaeologists have been probing the site for years, but it’s still striking to see OceanOne hustle down and retrieve a vase, with Khatib at the controls. No wonder the scientist hopes to build a small team of these robots in the near future. Watch the OceanOne. To do that, Siemens has created six-legged robots with depth-perception cameras and awareness of their surroundings. Each robot will take its own size into account and work specifically in its designated area. They’ll even work in shifts so they can reload printing material and recharge, downloading data into a fresh robot after two hours. Mobile robots could simply be given a design for a project and break it up amongst themselves.At this point, the robots are too imprecise to build anything yet. The collaborative process is a complex one, even for robot spiders that are operated by a hivemind. Each bot requires an understanding of its own abilities and those of fellow builders in order to work efficiently as a group. Siemens isn’t building the robots towards any specific goal right now, but sees the bots as the future of construction. Dalloro’s team has already got one robot to build a small plastic object, now they’re working on getting two together to build with concrete. Unleash the swarms. Buddhism is increasingly trying to connect with the modern world. 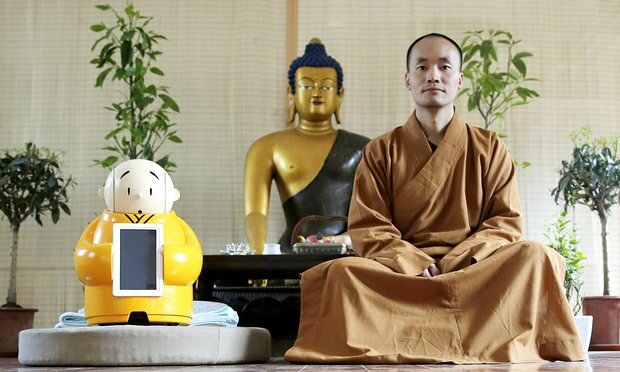 Monks across China have taken his word to heart, and their latest effort is Xian’er, an adorable robot that lives in a monastery answering questions and chanting mantras. Xian’er first came to life as a cartoon character drawn by Master Xianfan of the Longquan Temple on the outskirts of Beijing. The temple is over five hundred years old but a decade ago, Longquanwas in disrepair. Xianfan wrote for Chinese websites before becoming a monk, and found that Buddhism enhanced his natural creativity. The Xian’er character gave life to the Temple, which eventually added an animation studio. 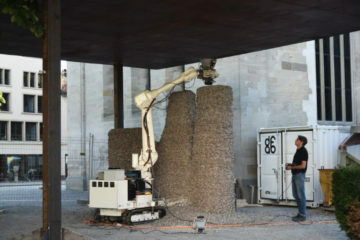 The Xian’er robot, built in conjunction with is the Temple’s furthest extension of its brand yet. The two-foot tall little monk can move around on command and answer 20 preset questions about life at Longquan and Buddhism. It can play also play children’s songs and could be quite marketable if the Temple had any interest in mass production, which it says it does not. It has social media accounts and appeared at robotics conventions, but mostly lives on Xianfan’s shelf. The robot’s existence seems geared towards more making a statement than creating a deep impact, a proof of concept that Buddhism and technology can merge. “He looks really cute,” a tourist told Reuters. “He’ll help spread Buddhism to more people since they’ll think he’s interesting.” Watch him yourself. While Alphabet may be looking to part ways with Boston Dynamics, it seems the shell company formerly known as Google still has plenty of interest in robots. SCHAFT, another company owned by Alphabet and big-time winner at the DARPA Robotics Challenge in 2013, just announced its newest ‘bot at the New Economic Summit (NEST) 2016 in Japan. 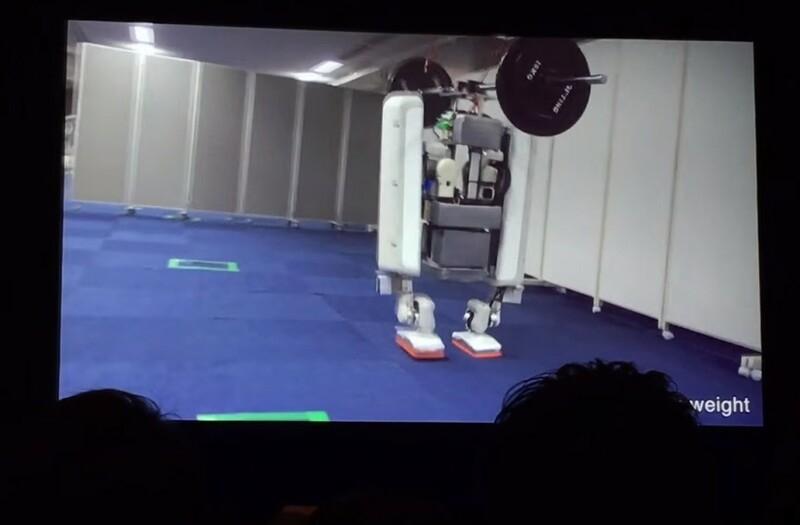 According to Tokyo-based reporter Tim Hornyak who was at the event, the as-yet unnamed robot can carry up to 130 pounds and is designed to be something of a mule, “at helping society by carrying heavy loads.” The question is, how well does it stand up to a swift kick? Catanbot does not lay crooked roads. Catanbot’s settlements are not askew. Catanbot is everything your clumsy little fingers are not. Students at the OTH Regensburg Technical University of Applied Sciences in Germany got an opportunity to play with a small robotic arm by Kuka Robotics and explore its precision through some creative programming. In this case, they programmed it to play the board game Settlers of Catan. As we’ve seen with machines crushing pitiful humans at chess and go, teaching a bot to play a games is nothing new. What’s impressive about Kuka is how gently and perfectly the arm places those dainty roads and settlements on the hexagonal game board. Watch it here. Maybe we should be worried about robots taking our jobs—Domino’s has enlisted the help of machines to deliver its pizzas as part of a trial in Australia. The Domino’s Robotic Unit (DRU) is a ground drone that is able to navigate to the customer’s doorstep with the help of sophisticated on-board sensors.And here’s the best part—it keeps the food piping hot by warming it in its on-board oven along the way.Domino’s created the robot with the help of Marathon Robotics. The design was based on a military drone and its cargo hold is PIN-code protected.DRU is undergoing early testing in Australia, which will hopefully lead to these things being deployed further afield.After all, drone deliveries are almost a thing. Amazon and its competitors have been testing the waters for a good while. But what good is a drone if it doesn’t deliver pizza? Next ArticleFacebook to Show Ads to Non-Users As Well!